Rhinoplasty is a leading plastic surgery for both men and women. Rhinoplasty involves the repair or sculpting of the internal cartilages and bone of the nose. These structures can be quite intricate and delicate. A talented facial plastic surgeon will understand the proper proportion and balance of the nose in relation to the overall facial appearance to create the most aesthetically pleasing results. However, the function of the nose is another critical element. In many cases, breathing function is restored through rhinoplasty. In all cases, nasal functionality should be closely monitored to and preserved. Rhinoplasty can involve an open or closed approach, which differs in the visibility of incisions. Most rhinoplasty cases can be performed using a closed approach, which means that bruising, swelling and recovery time is kept to a minimum. There a variety of techniques used in rhinoplasty, which is largely determined on the reason the patient is seeking a nose job. As mentioned above, one of the primary reasons for patients seeking a nose job is to fix breathing difficulties. These often involve issues with the nasal septum (the central cartilage). If the septum is offline or even perforated, it can make breathing a challenge. Septoplasty is a form of rhinoplasty that is used to correct a deviated septum. Many of these patients also suffer chronic sinusitis. Due to its protruding nature on the face, the nose is one of the most common sites of injury, especially during sports. When it comes to correcting a nose deformity caused by trauma, timing is important. If you ignore a fractured nose until after healing is complete, the long-term function and aesthetics of your nose could be damaged. Finally, many women and men are dissatisfied with the appearance of their nose. Their concerns can range from an unattractive nasal hump, a crooked nose, an overly large nose or wide nostrils. The nose should never distract from a person’s overall facial beauty. Therefore, it is often necessary to re-sculpt the nose and alter its size in a way that brings the face into natural harmony or balance. Dr. Ben Talei is known for his esteemed results in rhinoplasty. 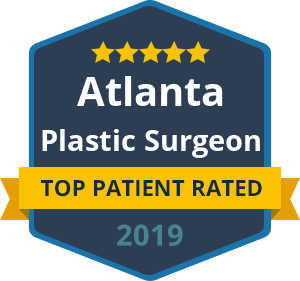 Whether you want rhinoplasty for medical reasons, after an injury or for cosmetic reasons, Dr. Talei will bring his talent, experience and highly trained skill to create a beautiful, functional nose.